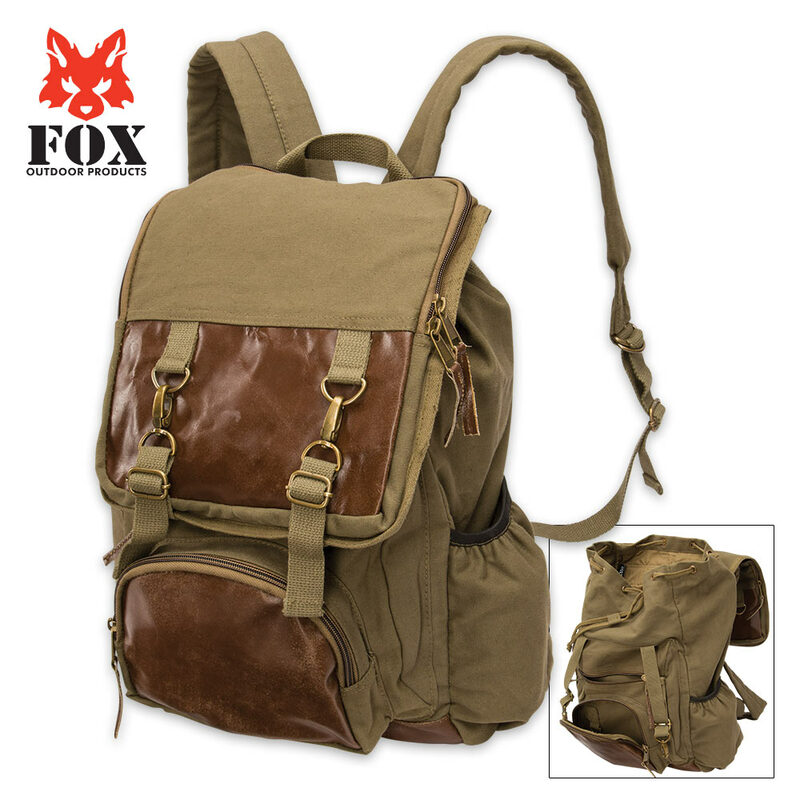 Military-Grade Tahoe Excursion Rucksack - Fox Outdoor Products - OD Green | BUDK.com - Knives & Swords At The Lowest Prices! The military-grade Tahoe Excursion Rucksack is built for the toughest terrain, harshest conditions and the most remote locales. Designed by the wilderness adventure experts at Fox Outdoor Products, it offers maximum versatility and unrivaled durability in a surprisingly affordable package. 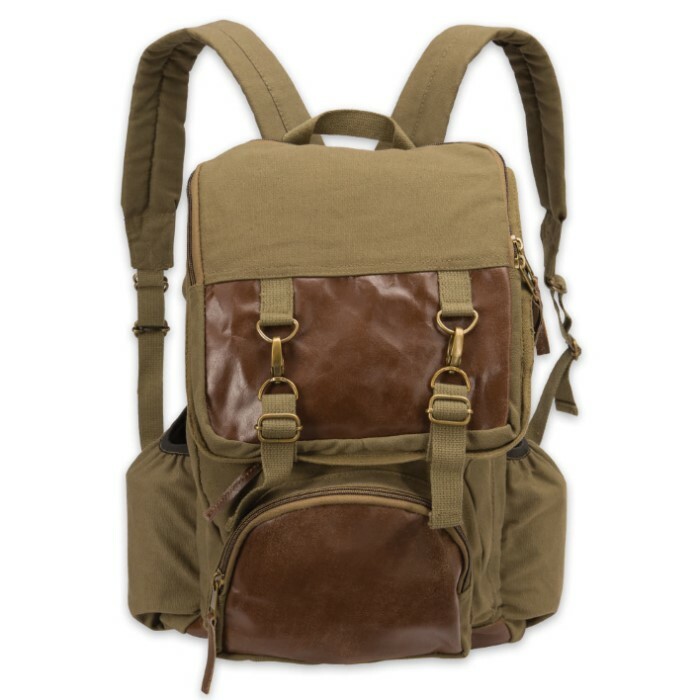 Numerous strategically placed zippered pockets and a large open top compartment with draw-cord closure provide ample storage space with easy, convenient access at all times. The "Tahoe's" color-washed olive drab cotton canvas construction is lightweight, exceptionally strong and water resistant. The bottom, front pocket and storm flap are further bolstered by genuine leather trim. 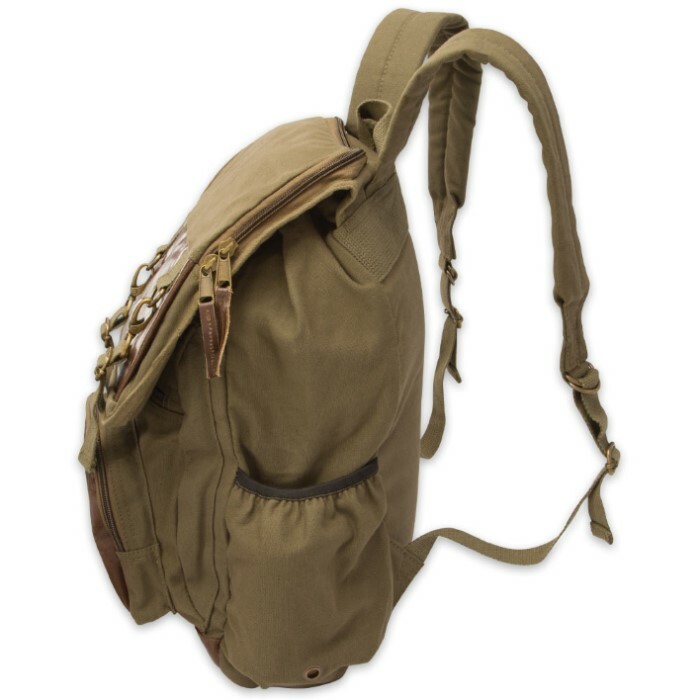 Fully adjustable padded shoulder straps and a canvas web grab-handle afford easy, comfortable transport through even the most challenging terrain. Rock solid gear is vital for any back country excursion, and you can trust the Tahoe Excursion Rucksack to endure years of abuse, no matter where or how far you roam.